The current housing market’s supply of homes continues to be tight with the majority of homes available for sale being higher-end properties. This leaves those who would be first-time homebuyers with fewer choices. But the nation’s largest home builder (by market value), DR Horton, is shifting its attention from high-end homes to building entry-level residences. The company’s new line of homes, Express Homes, will start at $120,000-$150,000 and will be be rolled out in Texas, Georgia and Florida. Executives of the company see a strong demand for this market segment that is lacking in supply. D.R. Horton CEO Donald Tomnitz said, “We wouldn’t be getting into Express Homes if we didn’t think it was the next segment of the market to recover… As we move into this recovery we’ll see some encouragement from the government in terms of trying to get more people into entry-level homes.” Pictured above is an Express Home in Dallas, TX and below is another located in Houston, TX. For information on effective ways to manage institutional and individual portfolios nationwide, or to shop for real estate visit First Preston HT. Like us on Facebook. Follow us on Twitter. Last year the housing market was mostly dominated by cash investors, many planning to flip properties or lease them out. So far during 2014 investors still play a large role in the market although to a lesser degree since interest rates and prices have continued to rise. Today we are taking a break from the housing market’s latest news and economic data reports to focus on a part of our business that brings new life to properties in need of a facelift. Castle Peak Homes takes pride in improving the neighborhoods where we purchase properties by completing renovations that bring back the original glory of structures while including modern updates. Each neighborhood has its own charm and style and keeping this intact is important in preserving these areas. Castle Peak Homes embraces the original architectural style of each property and enhances them with modern day elements such as hardwood floors, granite counter tops and updated bathrooms. One property Castle Peak Homes recently purchased and renovated was in Ft. Worth, Texas. From the outside this duplex looked worn down and tired. A fresh exterior coat of paint and bright new shutters helped transition this house to a home. The existing hardwood floors were refinished, new interior paint throughout added, and a privacy fence in the backyard was installed along with some beautiful landscaping. One of the kitchens was tiled to give it an undated feel as well. The ‘before’ pictures first and and the ‘after’ pictures are next. 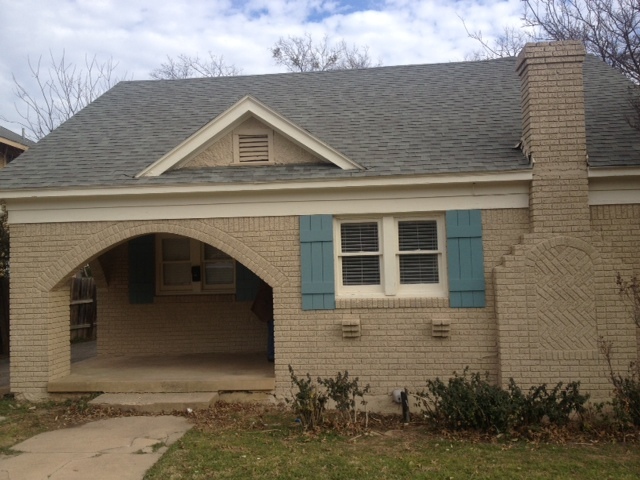 Another purchased property, also situated in Ft. Worth, received a facelift. This house had worn carpet and out-dated dark wood paneled walls. A complete interior paint job, removal of the carpet and refinishing of the hardwood floors helped bring this house back to life. A highlighted area of transformation was in one of the homes bedrooms which featured a fireplace. Castle Peak Homes is proud to add value to neighborhoods through the renovation of purchased properties and, at the same time, maintaining the character of each home as well as the charm and style of the neighborhood. Please visit Castle Peak Homes for more information on our properties. For information on effective ways to manage institutional and individual portfolios nationwide, or to shop for real estate visit First Preston HT. Like us on Facebook. Follow us on Twitter. The Federal Reserve’s recent two-day policy meeting painted a picture of sluggish growth in the economy for the first quarter of the year, mostly attributed to colder than normal weather which hindered economic activity. Federal Reserve Chair, Janet Yellen, commented on labor conditions being tougher in some ways now than in any other recession and stressed the Fed’s “extraordinary commitment” to aid recovery in the form of massive bond-buying and super-low interest rates for some time to come. The economic data has not been improving as quickly as many would have hoped for but there have been some positive reports that still point to a rebound. This should have a positive impact on the housing market. It’s time to put the first quarter behind us now and look for signs of growth during the second quarter in jobs, home supply, and home prices. 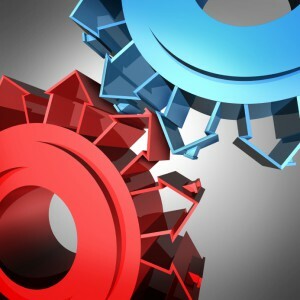 The U.S job’s report released Friday helped paint a brighter picture for the coming months. The economy added 192,000 new jobs during March and the unemployment rate held at 6.7 percent according the Bureau of Labor Statistics. These numbers came in around consensus but still do not point to a robust rebound. Kathy Bostjancic, director of macroeconomic analysis at The Conference Board, said, “Undoubtedly, there was some catch up in hiring following the inclement weather this winter. Still, the underlying hiring trend is encouraging, with more good news expected this spring and summer.” As the employment picture brightens up, this will help strengthen the housing market as more people will look to purchase homes. Housing supply has been on the rise since January, an important factor in getting the housing market to thaw out and eventually start booming. The noted monthly supply in February was up slightly from January’s five month supply, citing 5.2 months of supply. Six months of supply is considered a healthy housing market. As more homes are built to increase inventory numbers, analysts believe this will help spur growth in the housing market. Homeowners looking to sell their property will have an easier time looking for a new residence, which should encourage sales and purchases. As discussed in previous blog posts, the continued increase in home prices have made this a seller’s market, but have priced some potential buyers out of the market. While prices have continued to grow, they are increasing at a decreasing rate (January noted a slight drop of 0.08% in the Case-Shiller 20 City Home Price Index). This points to a possible retreat in gains, reflecting a more normal range in prices over the next few months. This will open the door to more market participants and will help get some momentum behind the housing market. The mercury is rising and springtime is just around the corner. Regions hit hard by winter storms are starting to thaw and analysts are predicting the housing market will do the very same in coming months. A tight housing supply continues to keep home prices high making this undoubtedly a seller’s market. The overall housing market for the year is positioned for continued growth. Demand for housing is still strong and expected to stay this way through the spring according to some analysts. The Conference Board, a nonprofit association of businesses, found the percentage of consumers who intend to buy a home within the next six months is the highest it has been since 2000. One reason for this rising demand is young people who are still facing a tough job market. A housing analyst with Moody’s Analytics predicts the economy will expand enough this year to enable these young people to move out of their parent’s home. While they may mostly rent, a decrease in vacancy rates should put upward pressure on rental prices prompting interested home buyers who currently rent to make a real estate purchase. During the past year, existing home and condo sales have increased 11 percent almost topping the highest level in four years. The National Association of Realtors (NAR) predicts sales will remain about the same during this year. The past few months have brought unusually cold weather to much of the nation and for the North East and Upper Midwest particularly, the polar vortex as they are calling it, doesn’t seem to be over. The frigid temperatures have some analysts wondering how it will affect some of the macro-economic data reports, like retail sales, unemployment, housing and the overall growth of the economy. December retail sales were revised downward; hiring did slowdown in December and January. Housing is also not faring well, specifically with regards to housing permits, housing starts and home sales. However, the brutally cold weather can’t take all the blame for the slowdown in growth. January U.S. housing starts recorded their biggest decline in almost three years. The Commerce Department commented Wednesday that ground breaking dropped 16 percent to a seasonally adjusted annual rate of 880,000 units. This is the lowest level since September and the largest percentage drop since February 2011. Economists had expected starts to fall to only a 950,000-unit rate in January. Housing starts can be strongly affected by the weather. Freezing temperatures, snow and ice can prevent construction but once the weather clears up, construction will ensue. For this reason it is anticipated that over the next few months, housing start data should rise as the weather warms up. We should see a resumption of construction on the backlog of homes. Some have poked holes in the weather theory, noting that the Northeast, which bore the burden of the cold temperatures and snow storms, saw starts hitting its highest level since August 2008. Starts in the West, where temperatures have been warmer, declined. What is more concerning is the housing permit data recently reported. Housing permits recorded a third straight month of declines, pointing to some underlying weakness in housing. Housing permits are not as strongly tied to weather and are a better representation of the fundamental state of the housing market. Housing permits fell 5.4 percent in January, citing the largest drop since June, reporting a 937,000-unit pace. Single-family housing permits waned 1.3 percent while multifamily permits slid 12.1 percent. Homes sales have been trending lower as buyer traffic was slowed in part to cold weather and lack of supply. Home resales fell more than expected in January and hit an 18 month-low. There are a lot of factors at play in these numbers and some analysts are counting on a surge in the Spring to bring the housing market out of the deep freeze. It is the start of a new year which comes with new predictions of what the housing market will experience over the course of the next 12 months. A look back at the housing market in 2013 showed a road to recovery, albeit slow. Forecasts for 2014 don’t seem to be overly optimistic so far. Pressure from higher interest rates, more rigorous credit qualification standards, and tight housing supply make the 2014 outlook a more challenging one. Weak residential mortgage origination results for the fourth quarter were recorded by Wells Fargo and JP Morgan Chase. Therefore analysts expectations for 2014 are being revised downward. The Mortgage Bankers Association (MBA) lowered its mortgage origination projections for 2014 by $57 billion to $1.12 trillion. Mike Fratantoni, chief economist for MBA, commented, “Despite an economic outlook of steady growth and a recovering job market, mortgage applications have been decreasing—likely due to a combination of rising rates and regulatory implementation, specifically the new Qualified Mortgage Rule.” A large portion of the reduction is refinance applications which are now estimated to decrease 60 percent this year from last year. 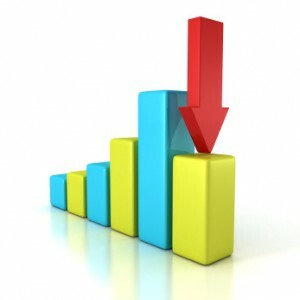 Mortgage rates are expected to rise above 5 percent this year which could put further pressure on the housing market. The MBA has lowered its 2014 projections relating to purchase originations to $677 billion down from $711 billion that was previously forecast. All-cash purchases still make up 32 percent of the housing market according to November readings from the National Association of Realtors (NAR). This number is up from October. Home builder confidence fell in January following a steep rise in December. “Rising home prices, historically low mortgage rates and significant pent-up demand will drive a continuing, gradual recovery in the year ahead. However, the pace of the recovery could be stronger were it not for rising construction costs and inaccurate appraisals that are keeping some home sales from going through,” said NAHB Chief Economist David Crowe. There is some good news surrounding the housing market according to Patrick Newport of IHS Global, “Builders are facing the headwind of rising construction costs, but buyer traffic has held up well despite rising mortgage rates. After hitting a plateau in the middle of 2013, the market for new homes is poised for a stronger 2014.” It will be interesting to see how the housing market adjusts throughout the year and whether or not it ends up stronger than 2013. Remember the in-law suite? The concept has been re-imagined and re-engineered and is now so cool — it’s hot. Dressed in new energy- efficient upscale designs and finishes, some look more like honeymoon suites than in-law suites. How hot is the in-law suite movement? A Google search for the term returned over 86 million results in .29 seconds. In-law suites often referred to as Granny flats, facilitate a growing trend toward multi-family households, common decades ago. NAR’s 2013 Profile of Home Buyers and Sellers indicates “fourteen percent of recent buyers purchased a home for a multi-generational household…” This is due in part to our economic climate. A Wall Street Journal article by Neil Shah supports a different theory. Shah maintains that the increase in foreign-born seniors relocating to the US is a big factor. Shah stated “Foreign born seniors are four times more likely to live with their children”. Regardless of reason, the trend is global. Many extended families are capturing additional living space via additions such as granny flats; while others choose new construction with self-contained secondary living suites. Australian designers appear to be leading the industry with modular dwellings. Some are built as stand-alone properties while others are integrated as secondary (back yard) structures designed to complement the architecture of the primary residence. They are so advanced; think of them as in-law suites’ on steroids. Added quarters accommodate returning graduates, retired in-laws, art, photography or yoga studios, rentals, care-givers for children or elderly parents, etc. In some communities, granny flats are evolving into stand-alone affordable housing. 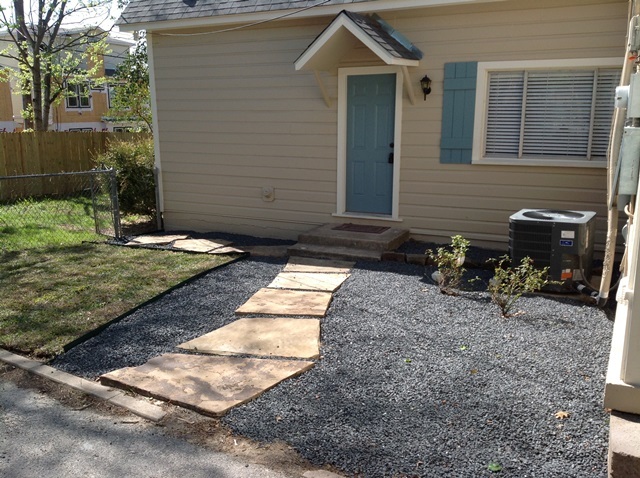 Austin’s Alley Flat initiative is one such venture. Australian entrepreneurs have found great success with the back yard villa or granny flat. The Japanese version is the tiny house. The British know them as garden cottages. In Fort Worth watch for accessory dwelling units (ADUs). In his book, In-laws, Outlaws and Granny Flats: Your guide to Turning One House into Two Homes, author Michael Litchfield, explains the six types of in-law flats. The link above showcases “10 Chic Granny Flats” from Litchfield’s book, posted on Forbes.com. Houzz.com spotlights 40,605 granny flat home design photos. Most resemble upscale resort suites or pool houses with functioning kitchens and sleeping quarters. Take a minute to scroll through. They are energy-efficient, and stylish. Major metros around the country are amending housing ordinances, while establishing zoning and construction specs for this evolving category of dwellings. Multi-family homeowners are evaluating whether to expand current homes or opt for custom new construction. For 2014 and beyond expect to see more builders offering multigenerational floor plans. Consider developing a niche by focusing on multigenerational housing options. Bernice Ross with Inman News acknowledges this as a “prime opportunity in 2014”. Watch for self-contained granny flat modules, fabricated domestically or imported from abroad. Check out local policy and valuation history for in-law suites. Keep a list of the best multi-family residential builders in your area. Use social media to ensure that your sphere of influence is aware of your special expertise. As 2013 winds to a close, economic conditions have made large strides since the beginning of the year. 2013 Definitely had its fair share of headwinds surrounding the economy, job market and housing market. Stock markets experienced strong gains the past few days, reaching new highs. Home prices have increased and foreclosure rates are on the decline. One thing holding the housing market back however is home mortgage applications. According to the Mortgage Bankers Association (MBA), U.S. home mortgage applications fell for the second consecutive week, hitting a 13-year low, dropping 6.3 percent from the week prior, December 20th. Rising mortgage rates might be scaring away some potential home buyers. The 30-year fixed mortgage rate averaged 4.64 percent last week. Rates have steadily increased in response to the Federal Reserve’s decision to begin tapering asset purchases by $10 billion a month. “Following the Federal Reserve’s taper announcement, mortgage application volume dropped again last week, with rates increasing and refinance application volume falling to its lowest level since November 2008. Purchase application volume was weak too, continuing to run more than ten percent below last year’s pace. Notably, government purchase application volume is almost 25 percent below where it was at this time last year, with the larger drop compared to conventional purchase likely due to the increase in FHA premiums over the course of the year,” said Mike Fratantoni, MBA’s Vice President of Research and Economics. As rates continue to tick up, the number of refinances will drop accordingly. Refinances as a percentage of total mortgage activity, dropped to 65 percent from 66 percent in the week prior . The MBA’s seasonally adjusted index of refinancing applications dropped 7.7 percent. With 2014 right around the corner, it will be interesting to see what the new year holds for the housing market. The long awaited final Federal Reserve meeting of the year and concluding meeting for Bernanke’s term has arrived. Thursday the Federal Reserve released the news that it would finally begin to taper quantitative easing, albeit a slight taper, signaling the Federal Reserve is seeing signs of growth and strength in the job market. Federal Reserve officials stated they would taper bond purchases from $85 billion a month to $75 billion. How will this affect you and the housing market? As the Federal Reserve slows its printing press in light of the taper, rates are likely to increase, meaning homebuyers will pay more for home loans in the form of mortgage rates and business loans will cost more as well. Current 30-year fixed rates are hovering around 4.57 percent and will probably head higher. Ellen Haberle, an economist at the online real-estate brokerage Redfin commented, “Homebuyers aren’t going to be happy. In the weeks ahead, mortgage rates are likely to reach or exceed 5 percent.” It is important to note these rates are still at historic lows even though they are starting to climb. Analysts believe this is not enough to halt the housing market recovery. “It’s a better economy that gets people to buy houses,” said senior financial analyst at Bankrate.com, Greg McBride. In most recent housing data the fear of a taper seems to have vanished. Housing starts soared to a six-year high, jumping 22.7 percent in November according to the Commerce Department. This was the biggest increase since January 1990 and the highest level of starts since February 2008. Starts for multi-family homes jumped 26.8 percent and have risen strongly during the recovery as demand for rentals remains high for those unemployed or unable to qualify for a home loan. Homebuilder confidence this month was positive and builders were optimistic regarding current sales conditions, forward looking sales and potential homebuyers. The National Association of Home Builders monthly sentiment index (HMI) increased 4 points, its highest level since August. “This is definitely an encouraging sign as we move into 2014. This indicates that an increasing number of builders have a positive view on where the industry is going,” says NAHB Chairman Rick Judson, a homebuilder from Charlotte, N.C.
We need a license before driving a car, practicing real estate or getting married. As technology pundit David Pogue noticed, there is no official certification required to navigate a computer. So most people don’t know what they don’t know about navigating a keyboard. This is the second in a 2 part series unveiling top time-saving tips for working smarter in cyberspace. Have you ever given a slide presentation and caught the audience gazing at your slides instead of looking at you? In PowerPoint strike the “B” key to momentarily black-out the slide. Click “B” again to restore the view of the slide. To white-out the slide, click “W”. Hit “W” a second time to restore it. Need flight status. Google is an FAA database. Go to Google type the name of the airline and the flight number to get: aircraft location, terminal, gate, and estimated landing time. Want to know how long it would take to fly from point A to point B? In the Google search bar type “flight time from city X to city Y”. The resulting list will even throw in a quick overview of the range of prices. To highlight a word don’t drag the cursor across it, just double click the word. Drag the cursor to highlight additional words in a continuous stream. Triple click to highlight an entire paragraph. This also works in Word docs. Don’t delete highlighted unwanted content, to save time just type over it or paste over it. Shutter lag is common occurrence in cameras that cost less than $1000.00. To photograph an object in mid-motion, pre-focus on the object before it is in motion by holding the shutter button half-way down. When the object moves, press the shutter the rest of the way down to capture the action. This addresses the delay most cameras experience between the time you press the shutter button and the time the camera actually records the image. To see a video demo of most of these tips check out the 5 minute video. The presenter keeps it fun. Feel free to share some of your favorite keyboard time-savers as well. For information on effective ways to manage institutional and individual real estate portfolios nationwide, or to shop for real estate visit First Preston HT. Remember to Like us on Facebook. Follow us on Twitter. Source: TED Talks as published by Inc. Christina Desmarais.